Do you need expert assistance with your SMSF? Time to speak to an SMSF expert? With ongoing changes to super and a historically low official cash rate, now may be a good time to review your self managed super fund and see if there are other ways to help grow and manage your retirement income. In this SMSF consultation*, our experts can help you explore general tax and investment options and outline some of the other ways in which our award-winning service may be able to support you. Whether you’re interested in learning about investing, retirement super strategies or running your own SMSF, it’s never too late to start your financial journey and take control of your family wealth. Sign up for one of our obligation-free education seminars today and let our experts show you how it’s done. Access to investment research, taxation and legal teams. 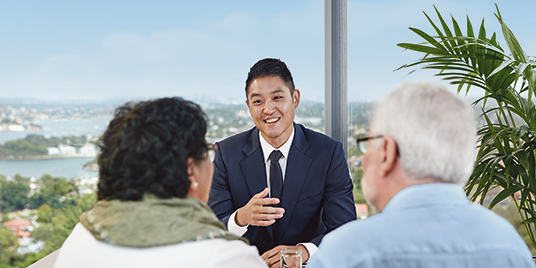 Meet with an experienced specialist who will speak to you about SMSF strategies and discuss ideas that could assist in growing and managing your family’s wealth.